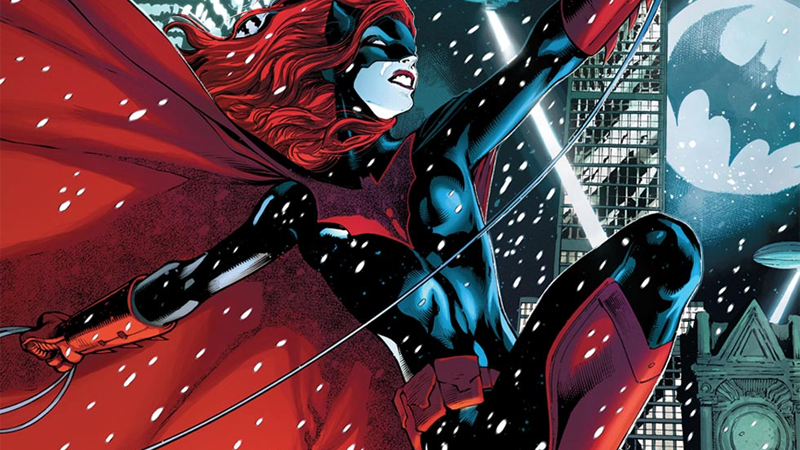 Batwoman is flying high in the pages of Detective Comics right now, but DC announced last week that Kate Kane is getting her own solo comic once again—one that will explore will delve deep into her past. We spoke Batwoman writer Marguerite Bennett to see what’s in store for Kate’s new book. io9: Can you tell us where the book is happening vis-a-vis the events in Detective Comics? Marguerite Bennett: Oh, sure. We’re actually going to be launching out of Detective and I’m going to be co-writing with James Tynion who heads ‘Tec right now, and— oh wait, I’m not sure I’m allowed to— oh, no— Steve [Epting, Batwoman artist] was announced! It’s okay. We’ve got some other artists who are contributing to help launch the series. So the series is actually going to take Batwoman all over the world. Essentially it’s just going to be her leaving Gotham to track down a villain who has escaped the Bat Family’s jurisdiction, and so it’s just using intense black ops, going all over. We’re going to be cutting between the past and the present, you know, and we’re also going to be examining the years that were lost in her backstory. We know there’s this period in her life where she was in a very bad place, she’d been kicked out of the military on don’t ask, don’t tell... we’re going to be examining what happened during those years— what essentially went right, went wrong, and helped sculpt her into someone who wanted to return to Gotham under this particular mission under this particular mantle. So it’s going to be outrageous. So training sequences, Year One kinda thing? Bennett: More than that. There are going to be some things that are absolutely definitive for her— not just beating-up skills, but elements that caused this emotional damage and emotional strength over those years, people that she met, are essentially going to come back to haunt her. It’s going to be... “outrageous” is the word for it. I love Greg Rucka’s take on the character way back when and one of the things I’ve had to come to grips with is the relationship with her dad has changed so much— but I love what James Tynion IV has done. So it’s a weird thing where a canonical source has changed— where a relationship gets changed— but also like, it gets in a way that’s also interesting. How much of that is going to be in your book? Bennett: I mean, Detective is going to take the strength of that, since that’s been one of the cruxes of the arcs that James is putting out right now. So the Colony and all that, Detective is still going to be your place for that fix. Her relationship with her father in the past is going to be something that influences the ongoing Batwoman series, but yeah, it’ll be much more focused than Detective. The other aspect of the character I feel a lot of fans love is her tumultuous relationship with Renee Montoya. Are you going to be addressing that? Bennett: Oh yeah, no, definitely! Like, ‘the loves and losses of Kate Kane’ is going to be a primary theme of this book. And some people you haven’t met yet, who were forerunners of her future relationships. Some people took umbrage of the idea that Kate had managed to find out that Bruce was Batman. Are you going to show any of that? Is there a moment where she realizes? Bennett: Yes. We’re going to addressing it and I hope— I think we’ve done something very clever— so I hope you’ll enjoy it! How far out do you have the book planned? Bennett: Uhm, goodness. I’ve got...is it a spoiler to name a number of arcs? It’s a number of arcs, let me put it that way. What’s the different between writing Kate in this mainline DC book and in Bombshells? Bennett: You know, that’s actually sort of been this fun dissonance so far. Getting to have my cake and eat it too in the two universes. You know, within Bombshells so much of the character is reinvention within the context. But in this, you sort of get the true blue, pedigreed version of Kate Kane complete with these characters and these influences. And, in Bombshells, Batman doesn’t exist. Page one, Kate Kane comes out of the shadows, prevents the murder of the Waynes, and there is no Batman in that universe. Bruce Wayne grows up happy and spoiled. So within getting to explore this complete universe with all the continuity and with the much bigger playbox, essentially— the cast of characters and weapons and villains— the universe is just absolutely massive. It’s going to be a lot of fun to navigate that maze. How much of the Bat Family are we going to see in Batwoman? Bennett: Detective is still going to be your main place. If you want the Bat Family, that is your Bat Family book. And it’s breaking my heart every issue. James is so excellent. So yeah, this is definitely going to be focusing more on her life and her past relationships and things—her core cast of characters, as well as establishing a supporting cast of her own. That was my next question. She’s going to be globetrotting— is she going to have somebody playing support like her dad used to? Bennett: Oh yes. Very, very dashing, this individual. She looks banging in a suit. Perhaps someone we’ve seen before? Bennett: This I will not say, but yes. Someone very fun. Batwoman begins in March 2017, preceded by a one shot prologue issue in February.